Born in 1986, Pierre Génisson is one of the leading French wind instrumentalists of his generation. Winner of the prestigious Carl Nielsen International Competition, in 2014 he also won the first prize and the Audience Award at the Jacques Lancelot International Competition in Tokyo. He went on to record his first CD, Made in France, with the pianist David Bismuth on the Aparté label. Lauded by the press, he has notably been awarded a Diapason d’Or and the ‘FFFF’ from the magazine Télérama. In 2015, he recorded Schumann’s trio for clarinet, viola and piano ‘Märchenerzählungen’ with Adrien Boisseau and Gaspard Dehaene for the Oehms label. Pierre Génisson began his musical education in Marseille, his hometown, before joining the Rueil-Malmaison Conservatoire under the tuition of Florent Héau. He then studied under Michel Arrignon at the Conservatoire de Paris, also taking chamber music classes with Claire Désert, Amy Flammer and Jean Sulem. He was awarded first prize diplomas in clarinet and chamber music. At the age of 21, Pierre Génisson was appointed principal clarinet of the Orchestre Symphonique de Bretagne conducted by Olari Elts and Lionel Bringuier. With the OSB, he took part in numerous festivals and recordings. He left the ensemble in 2012 and moved to Los Angeles to further his studies. Under renowned tutor Yehuda Gilad at the University of Southern California he obtained an Artist Diploma. At the same time, Pierre Génisson made his debut with the Berlin Philharmonic performing Debussy’s Rhapsodie and Bruch’s Double Concerto. Since then he has regularly performed as a guest soloist with major European and international orchestras (including Deutsches Symphonie Orchester-Berlin, Tokyo Philharmonic Orchestra, Odense Symphony Orchestra, Trondheim Symphony Orchestra, Orchestre Symphonique de Bretagne and the Royal Philharmonic Orchestra of Liège) directed by Emmanuel Krivine, Olga Elts, Krystof Urbansky, Darell Ang, Sacha Goetzel, Krysztof Penderecki, Charles Dutoit, Lionel Bringuier, Yannick Nézet-Seguin and Alexandre Bloch. Pierre Génisson has also performed as a soloist in prestigious venues such as the Suntory Hall in Tokyo, the Radio France Auditorium, Odense Konzerthus, the Philharmonie, Cité de la Musique in Paris, Salle Gaveau, and the Yokosuka Art Center. In January 2018, he will make his debut at Tonhalle Düsseldorf with the Dusseldörfer Symphoniker. Pierre Génisson has a passion for chamber music and plays regularly in European and international festivals with individuals and ensembles such as Marielle Nordmann, Ophélie Gaillard, Camille Thomas, Geneviève Laurenceau, David Guerrier, Claire Désert, Juliette Hurel, Florine Boffard, David Bismuth, François Chaplin, Nicolas Dautricourt, François Dumont, Karine Deshayes, Delphine Haidan, the quartets Ebène, Modigliani, 212, Hermes, Van Kuijk, Voce and the Elegy Trio. For several years, Génisson has split his time between France and the United States. 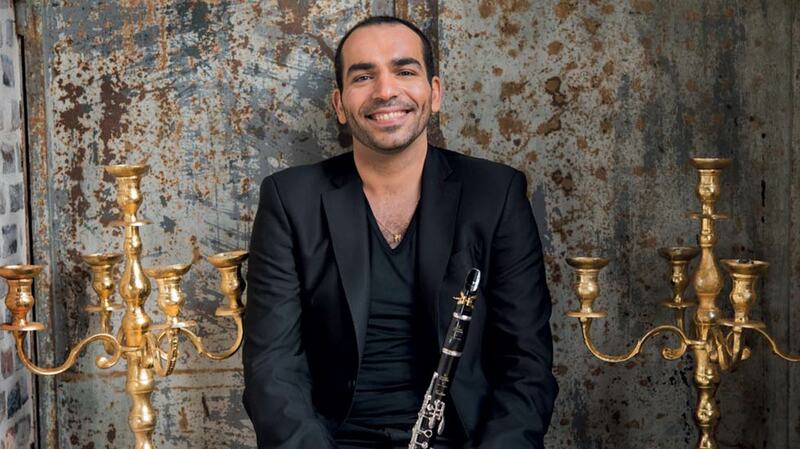 He regularly performs as a soloist in New York, Los Angeles, Austin, San Francisco, Philadelphia and Seattle. He is often invited to give masterclasses in Asia. In May 2017, his new album ‘How I Met Mozart’, recorded with the Quartet 212, will be released on the Aparté label. Following the release, he will give a concert at Salle Gaveau in June and begin a tour of Europe and the United States. In the 2017/2018 season, he will perform the world premiere of Eric Tanguy’s concerto, which is dedicated to Génisson, accompanied by the Royal Philharmonic Orchestra of Liège and the Orchestre Symphonique de Bretagne. He will also make his debut with the Düsseldorf Orchestra and tour Japan and China. He will be appearing at numerous European festivals in France, Germany, Hungary, Austria and will give concerts in the United States. Pierre Génisson has been awarded prizes by the Banque Populaire and Safran musical foundations and won the Young Talent Award for Music and Wine at Clos Vougeot. He is an active representative of the Buffet Crampon brand and plays “Tradition” clarinets.